Agartala: The registration of ‘Daily Desher Katha’, a mouthpiece of the Tripura CPI(M), has been cancelled over an “ownership dispute”. Desharkatha is a prominent newspaper of Tripura of forty years standing and is the second largest circulated daily in the state. The Newspaper has stopped publication from 2nd October, Gandhi Jayanti. In a letter on Monday, the Registrar of Newspapers in India or RNI said the publication was being suspended based on a verdict passed by the district magistrate of West Tripura, Sandeep Mahatme. 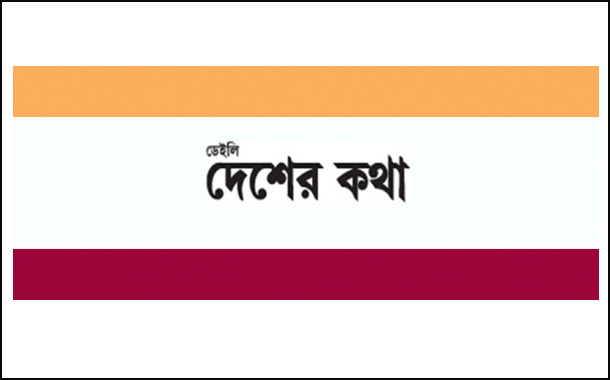 It cited “unauthorised change of ownership” as reason for the cancellation of the Bengali Daily’s registration. It may be noted that Shyamal Debnath, a resident of the West Tripura, had filed a case against the paper earlier this year. Talking to the press in Agartala on Tuesday, CPI(M) central committee member Gautam Das said the move by RNI was “totally illegal, politically motivated and anti-democratic”. The CPI(M) has also appealed to all democratic sections of the people to protest against this serious attack on the fundamental rights enshrined in the Constitution.